Installing a Bay or Bow window will immediately become the main focal point for your home. 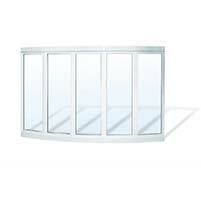 Bay and Bow windows are made up of 3 or more separate windows. Bay or Bow Widows add more natural light and a wider view to any room. The curved surfaces increase air flow. Increase curb side appeal and bring the outdoors closer to your home. A favourite place to lay for cats and dogs, or avid book reader, bow windows add style and light to any room. 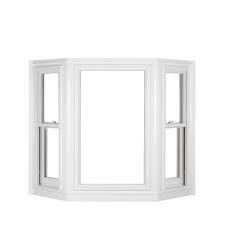 A bay window generally consists of a picture window in the middle with two other windows styles on either side. A bow window’s structure is curved, and will create a more rounded appearance on the exterior of your home. There are some differences between Bay and Bow windows, that you may want to consider when choosing which design suit your home best. Have the friendly and helpful staff at 1st Choice Home Solutions help you find out which window is best for your home.